MLLP director Alfons Juan presented the MLLP’s experience on “Applying advanced language technologies for multilingual subtitling and translation in education” at TEF2016. Watch here the video of the presentation (jump to 2:13). Organized by the European Commission’s Directorate-General for Translation, the Translating Europe Forum conference is the yearly central event in their Translating Europe series of meetings around the EU. This year’s Translating Europe Forum 2016 (TEF 2016), which took place in Brussels on 27 and 28 October, has focused on translation tools and technologies. As in previous occasions, the conference was a success. Not only because of an attendance of over 500 people, but also because of the quality of the speakers. 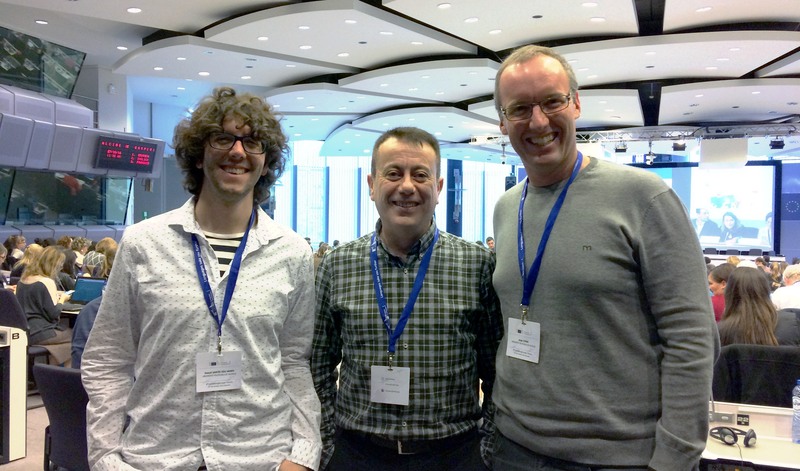 Participating and attending at TEF 2016 were important stakeholders in the field of translation (professionals, researchers, learners), representatives from some of the top teams working on language technology in Europe and worldwide, and relevant EU officials covering both areas. Have a look at the conference programme to see everyone who participated and what they presented. Given this year’s topic, the MLLP is especially glad to have had the occasion to participate in the Forum. 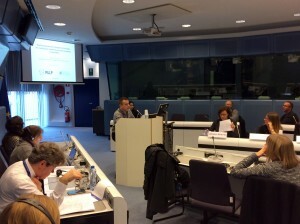 MLLP director Alfons Juan was a panellist in the session “MOOCS: The future of online training?”, where he presented the MLLP’s experience with automatic speech recognition and machine translation on the topic of “Applying advanced language technologies for multilingual subtitling and translation in education”. If you missed the presentation, you can still watch it thanks to the conference recordings offered by the EC. All sessions were live streamed over the Internet, and the recordings are now available for anyone who missed the conference. We invite you to watch the MLLP’s presentation in this session recording, jumping to 2:13 in the video. It has been a pleasure to participate in this year’s #TranslatingEurope, and we look forward to the next edition of the conference. Posted in All, Events, Videos and tagged #TranslatingEurope, Conferences, Language Technologies.